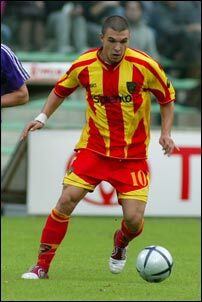 Watching a few matches and videos of him during his period at Lecce I noticed that he not always was in the game but sometimes he seemed a bit lost. Considering also the age I would give him high green in STA and low green in MEN (or maybe even high white?). I also saw only one goal scored from free kick so I would give low green to FKA as well. He scored more awesome goals than normal and easy ones therefore I would give him 1 point lower in SA. The rest seems ok to me. What do you think?